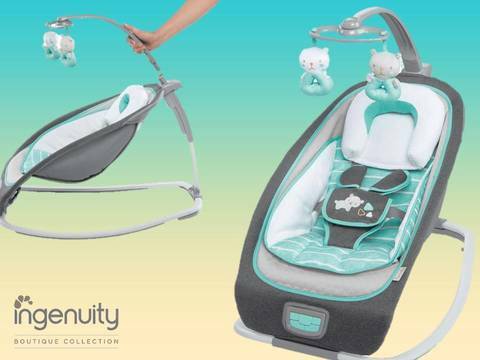 Elegantly posh and chic, the Ingenuity™ Boutique Collection Rocking Seat™ offers your little one a comfortable place to play and take a snooze with its premium, plush fabrics. 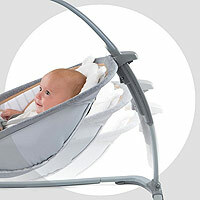 With three distinct recline positions, you can keep baby cozy, from nap time to sitting up. 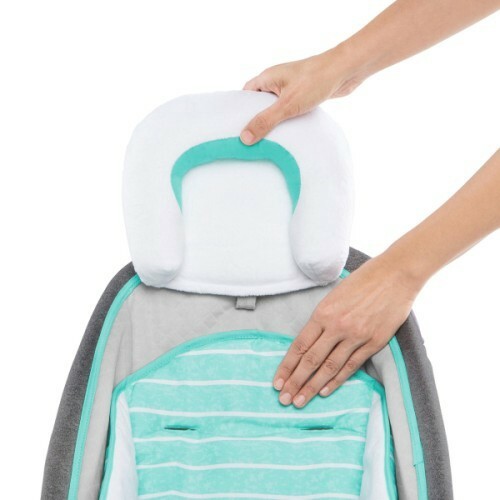 The stationary seat mode boasts calming vibrations, soothing nature sounds and music, and the volume control lets you choose the perfect noise setting. As your child grows, you can remove the character headrest and adorable toy bar to convert the unit into a rocking seat. 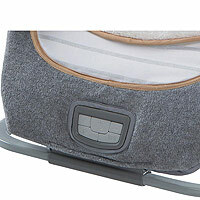 When not in use, this contemporary rocking seat folds almost completely flat for streamlined transport and storage. 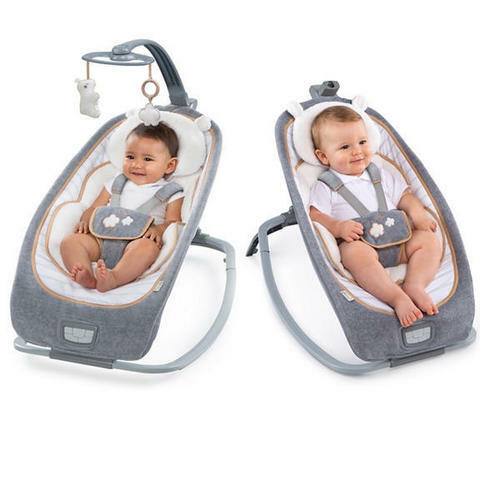 The safety harness is wrapped in plush, fleece-like fabrics that feel soft against baby's sensitive skin as he or she enjoys the motion of the rocking seat. 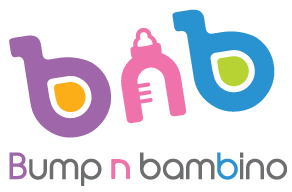 As your child grows, you can remove the adorable toy bar to convert the unit into a handy rocking seat. 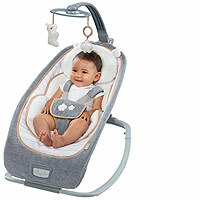 Your little one will love the calming vibrations, nature sounds and music of this rocking seat. 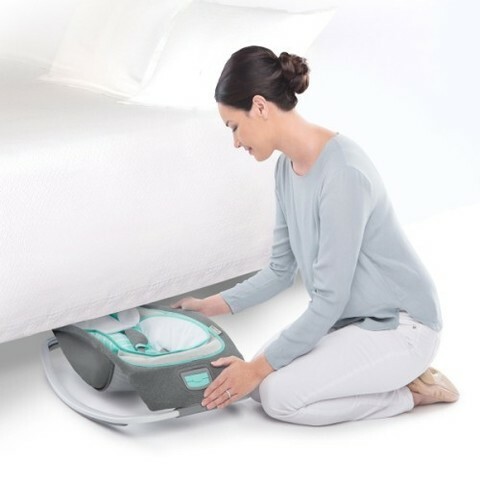 The volume control lets you choose the best setting for your bundle of joy. 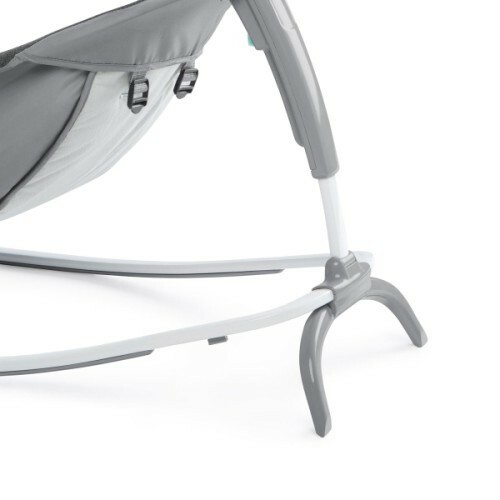 To accommodate naps and time spent sitting up, the seat offers three distinct recline positions to optimize comfort throughout the day.